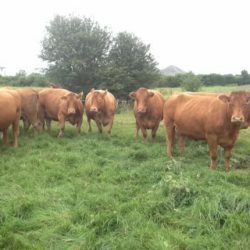 A clearance sale of 40 incalf Limousin cows is set for Roscrea Mart on Friday, August 14, at 1pm. The sale will feature the stock of John Delaney with the cows said to be of the ‘highest’ quality. 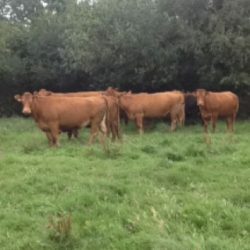 According to Delaney, the cows are extremely docile and would suit new farmers getting into suckling or more established farmers in the business. 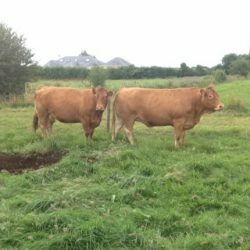 The 40 three-quarter-bred Limousin cows set for the sale are due to calve Aug-Sept to a pure bred Limosuin bull. Delaney also said that the group are mostly ‘young’ cows with the oldest cow in the group only born 2009. 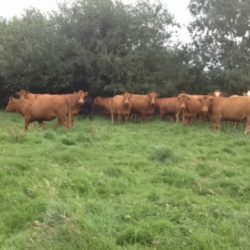 He also said that the cow’s have EuroStar ratings varying between 3-4 1/2 stars with many qualifying for the new Beef Data and Genomics Programme.